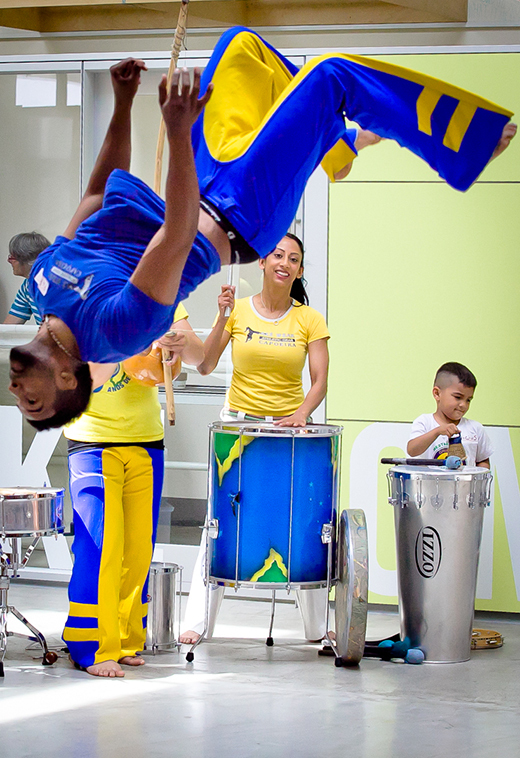 Over the weekend, large crowds gathered to participate in interactive workshops featuring Brazilian history and culture with the talented Axé Capoeira. To begin, Capoeira Master Marcus Aurelio (Lelo) proudly introduced his audience to his cultural heritage and Brazilian roots. Born in the city of Recife in the northeast of Brazil, Marcus began training in Capoeira at the age of three with his father Mestre Barrão, whom he accompanied to his classes and Capoeira events. Then it was time for a glimpse of the maracatu (mah-rah-kah-too) dance, which was accompanied by powerful rhythms, vocal harmony and dancing. The dance featured two traditional Afro-Brazilian goddesses, with exquisite costumes and choreography to match! The maracatu is normally practiced during processions representing coronation festivities throughout Brazil. After the Maracatu, audience members were invited to join Marcus for a Brazilian tambourine tutorial. 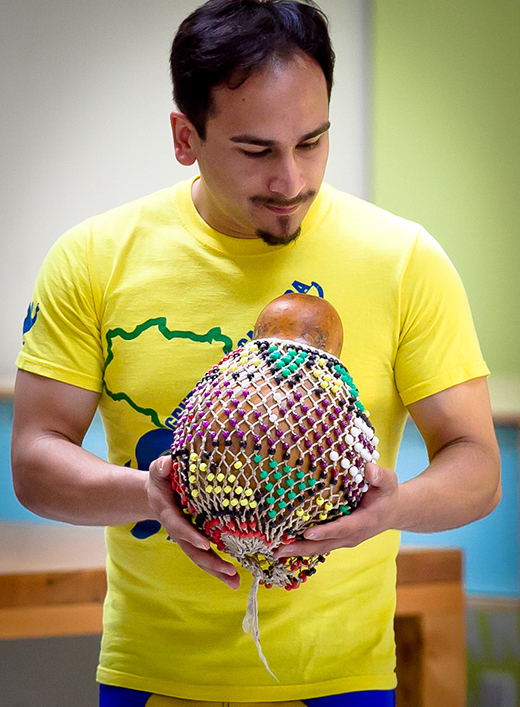 Known as the pandeiro in Portuguese, the Brazilian tambourine is used in a number of Brazilian music forms such as samba, but also when playing Capoeira music! 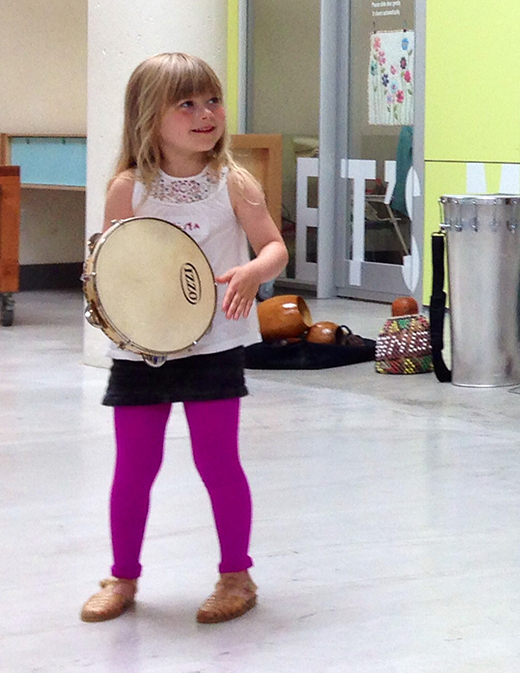 Young volunteers tried playing the pandeiro, bringing out the percussionist in everyone! Marcus then demonstrated an instrument known as the Ocean Drum. Mimicking the sounds of the ocean, the drum is played by rocking back and forth, creating a mesmerizing visual display as the beads move within the drum. Axé Capoeira also delivered an expressive warrior dance by the name of maculelê (mah-coo-leh-leh). Marcus explained the origins and significance allowing attendees a glimpse of cultural history. Maculelê, a celebration of endurance originated from the oppression that African slaves endured while working in Northeast Brazilian sugar plantations approximately 400 years ago. The dance's choreography and music is based on the movements and drum rhythms that emerged during harvest seasons, in which slaves used machetes to harvest the sugarcane. Sticks were used it has become tradition to use sticks in place of machetes. 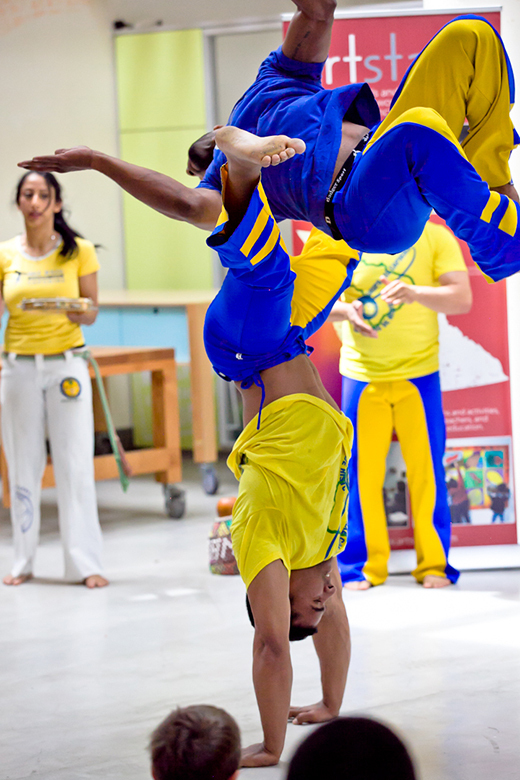 For the most exciting part of the show, participants were amazed by the strength and gravity-defying acrobatics of Capoeira masters and teachers. Accompanied by the musical rhythms of the berimbau, the performers rolled, posed and demonstrated incredible upper body strength. The workshop culminated in an interactive dance with the entire audience taking part and singing along! 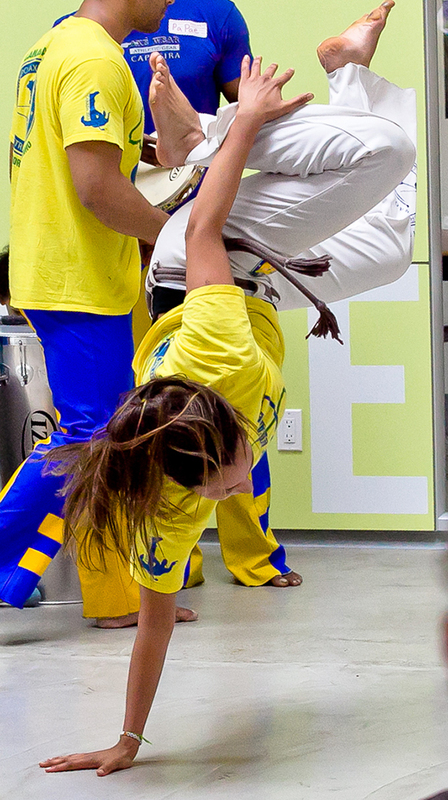 Everyone was captivated by the cultural and physical benefits of Capoeira. Thanks you to all the talented teachers and students for an unforgettable experience. 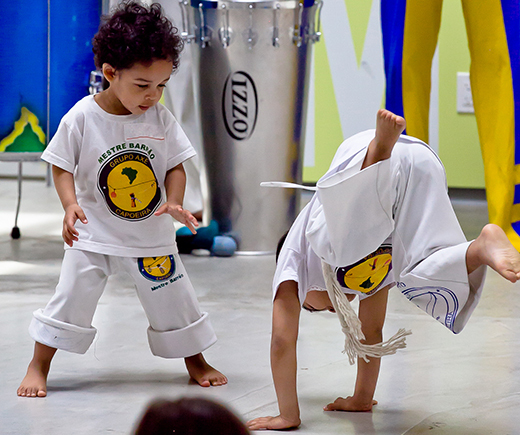 Be sure to visit Axé Capoeira's headquarters for more Capoeira on Commercial Drive in Vancouver! 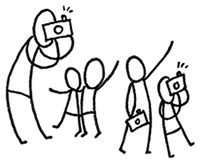 And a big thanks to audience member Prad Sridharan for taking the amazing photos featured here! We look forward to seeing you at Musical Adventures of Marco Polo with multi-instrumentalist Boris Sichon. 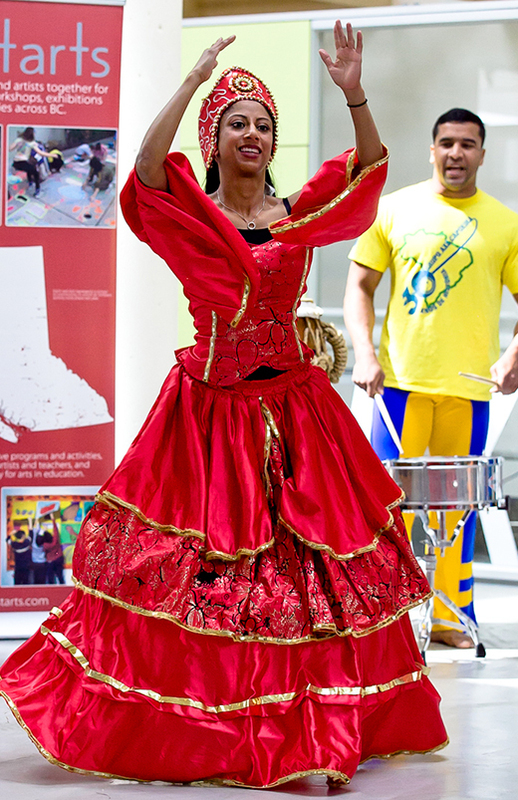 You'll explore the globe via a celebration of world music from different nations and traditions. Boris is the owner of a unique collection of over 400 ethnic musical instruments he has compiled in his international travels as a performer. 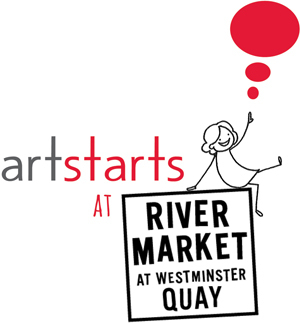 Join us at ArtStarts on Saturdays in Vancouver on Saturday, June 27, 2015 and at ArtStarts at River Market in New Westminster on Sunday, June 28, 2015. 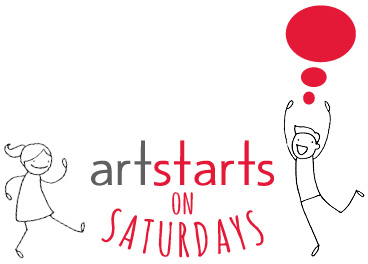 Also join us for a special event on Saturday, June 20, 2015 at the ArtStarts Gallery Vancouver! Draw and Tell: Northwest Coast Storytelling is part of Vancouver Draw Down, a day-long, city-wide celebration of drawing. artists Anastasia Hendry and Christine MacKenzie. Through storytelling, drawing and textile work, artists will lead visitors on an exploration of First Nations culture, history and traditional teachings. 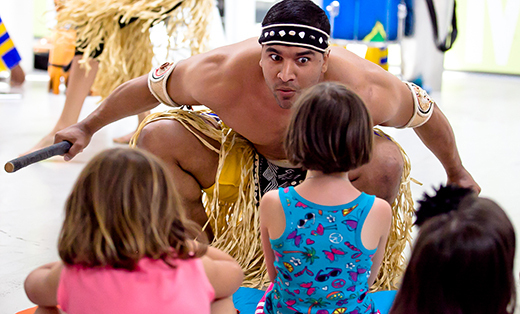 Activities include a traditional Talking circle, First Nations storytelling, the "Draw and Tell" technique, creating a "crest" and a mini button blanket. Learn more.